Glo is here again with another great offer for those that like to borrow. 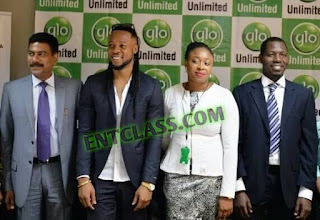 Glo has introduced a new offer called Glo Borrow Me Data, which allows subscribers to borrow Data credit of up to 2GB whenever their data bundles are exhausted and they have no airtime balance to recharge their data plan or in cases of unsuccessful subscription bundle activation due to low balance. But wait, you know, all these kind of offers do comes with Terms and Conditions, which is normal. Now, here it is, before you can be able to borrow data plans from Glo, you must be at-least a month old using Glo network. HOW CAN I BORROW DATA ON GLO? To borrow data on Glo, kindly dial *321# and follow the on -screen options. HOW CAN I PAYBACK THE BORROWED DATA? You will payback the borrowed data whenever you make a recharge. In addition, Glo also made official 3 other existing offers which i will paraphrase below. Double Free Tomorrow: This offer gives back to the subscriber 200% of whatever is spent on calls, SMS or data today to use for free the next day. In the re-loaded offer, Globacom calculates all the value of airtime a subscriber used in a day for internet services, phone calls and SMS, and credits the subscriber’s phone with double this value at the start of the next day. HOW CAN I OPT IN FOR THE OFFER? If you are interested in this offer, you are to dial *300#. Gbam Plus 11k per second: It's as a simple flat tariff plan which allows customers enjoy heavily reduced call rate on local and international calls. Under the plan, calls are charged at 11k/s to all local networks and for international calls to 30 top destinations. New IDD Packs: The IDD pack covers calls made from Nigeria to 30 major international destinations for as low as N6.60 per minute. The IDD 100 gives the subscriber 12 minutes of call valid for 3 days, while IDD 200 gives 24 call minutes for 7 days. The IDD 500 bundle gives 60 minutes of call for 14 days, while the fourth bundle, IDD 1000, will avail the user 150 call minutes valid for 30 days. Double Free Tomorrow does it include the Gbam plus Plan? Good innovative. Thanks for the information.